Thank you, everyone, for a great 2017 and Happy New Year! 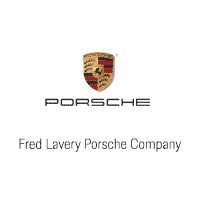 We at Fred Lavery Porsche value your business and appreciate all you did for us in 2017. There are great things happening at Porsche, including the Mission E, due in the calendar year 2019. We are overjoyed to serve the Detroit Metro area Porschephiles and look forward to the future! The Fred Lavery Porsche team.